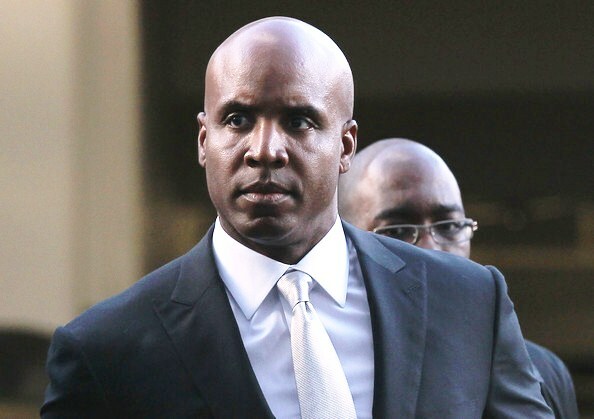 *After more than two weeks of testimony from more than two dozen prosecution witnesses, defense lawyers for Barry Bonds did not put on a single witness Wednesday, setting up today’s presentation of losing arguments. Bonds is charged with three counts of making false statements and one count of obstruction of justice. He told a grand jury in December 2003 that his trainer misled him into taking designer steroids by calling them flaxseed oil and arthritis cream, but prosecutors say the home run record-holder knew he was using performance-enhancing drugs. One of the charges accuses Bonds of lying when he denied that his personal trainer, Greg Anderson, injected him. Nedrow told the jury that Bonds’ story was obviously false because the former baseball star was a rich, professional athlete who paid close attention to his body. Nedrow alleged that Bonds lied about his drug use because he wanted to keep it from his famous father, former Major League Baseball player Bobby Bonds and from his team, the San Francisco Giants. “The defendant had a secret and he didn’t want his dad to know about it,” Nedrow said. Bobby Bonds died of cancer in 2003. Dressed in a dark blue suit, Bonds leaned forward at the defense table and occasionally sipped from a water bottle. Bonds sat attentively between two of his lawyers as Nedrow discussed the testimony of Bonds’ former girlfriend Kimberly Bell and his estranged best friend and ex-business partner, Steve Hoskins. Bell testified about physical and behavioral changes she witnessed during her nine years with Bonds, including hair loss, acne, shrunken testicles and mood swings. Nedrow alleged those were side effects of steroid use. Nedrow played a recording Hoskins secretly made of a conversation he had with Anderson. Hoskins testified that he made the recording in 2003 to prove to Bonds’ father that his son was using steroids. Nedrow said the two are discussing injecting Bonds with designer steroids. Bonds’ attorneys will follow Nedrow to the lectern to deliver their closing arguments on Friday. They contend that Hoskins made the recording in an attempt to extort Bonds. 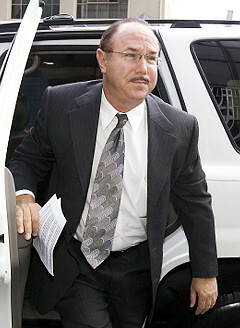 In early 2003, Bonds accused Hoskins of selling memorabilia without Bonds’ permission. Bonds severed his business relationship with Hoskins. Bonds also asked the FBI to investigate Hoskins.